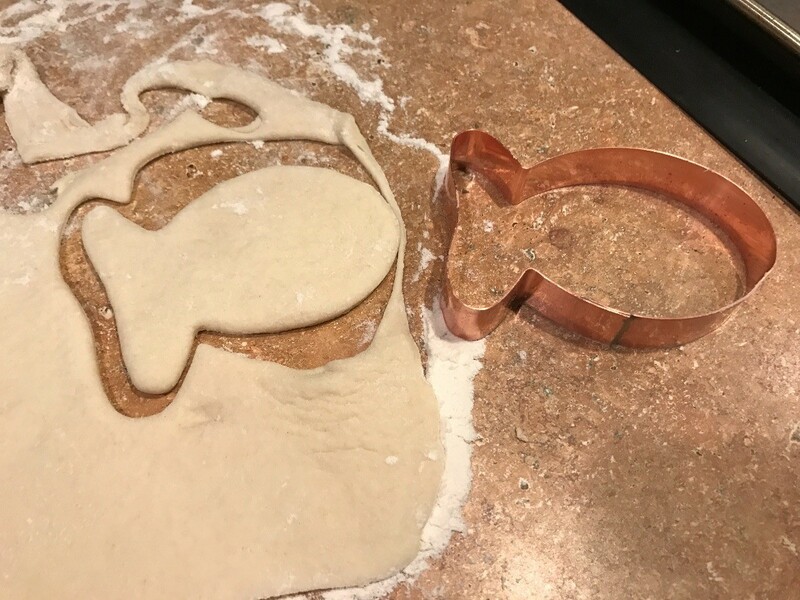 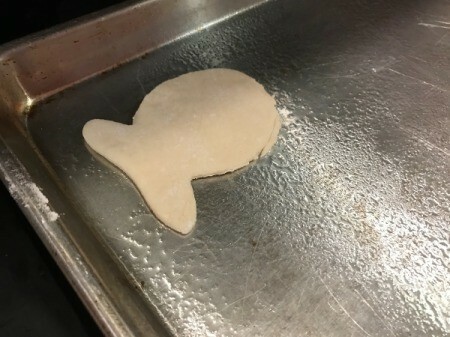 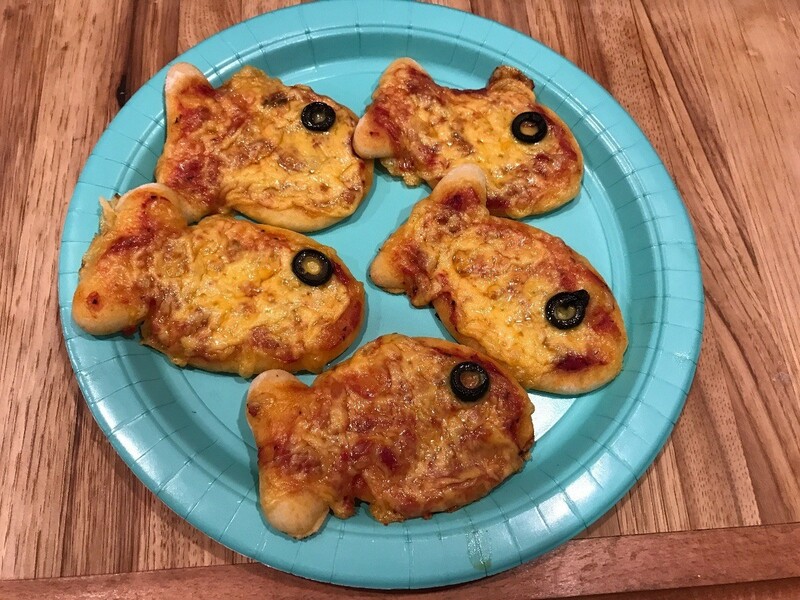 I made these goldfish shaped mini pizzas for my son's birthday party. I found the cookie cutter online, but you could probably create a cardboard template and cut them out yourself. They came out so cute and everyone loved them! 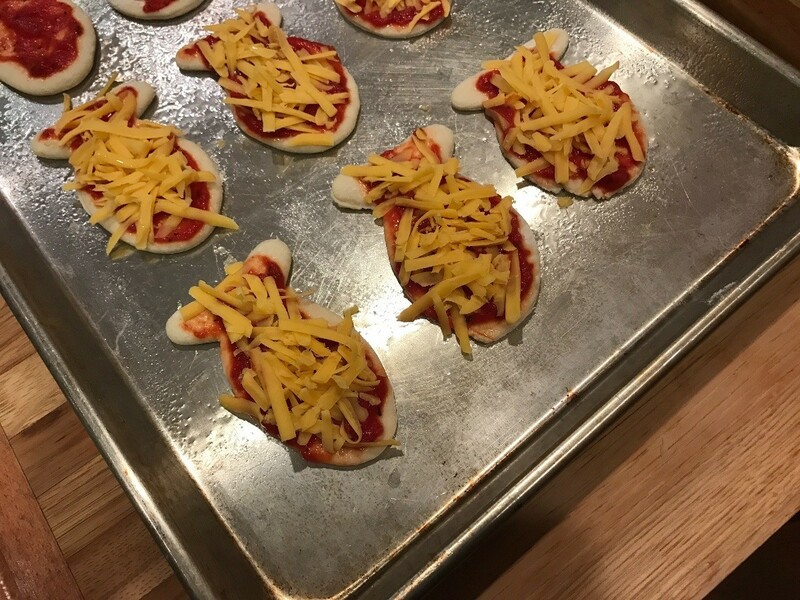 Dust counter with flour and unroll the pizza dough. 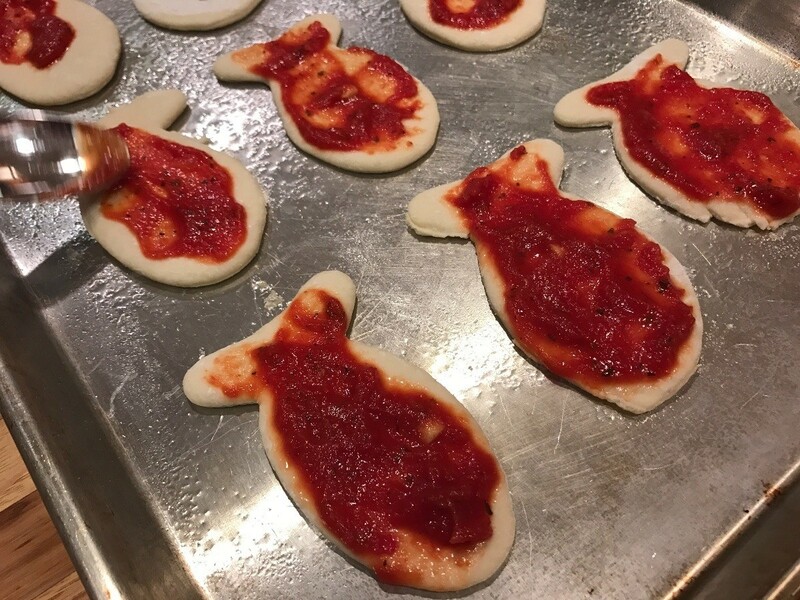 Cut out the mini pizzas with the cookie cutter. 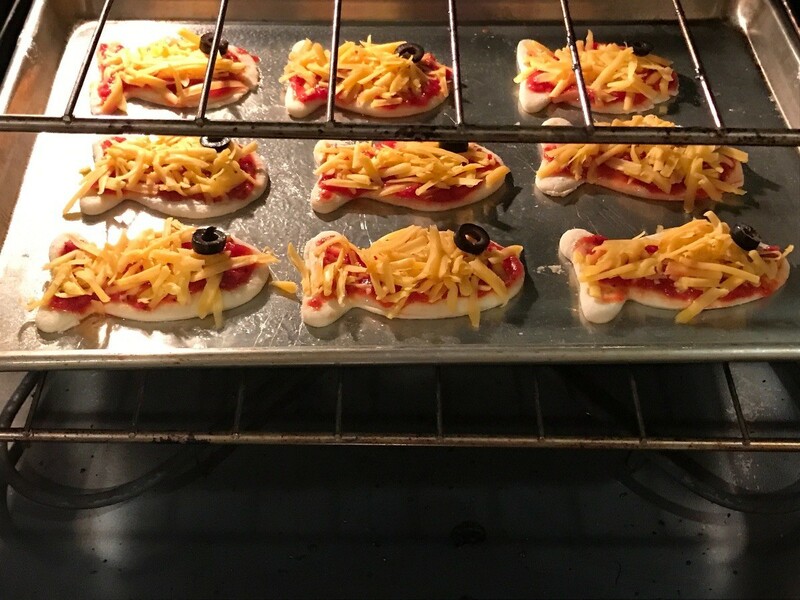 Place the pizza onto a greased cookie sheet. 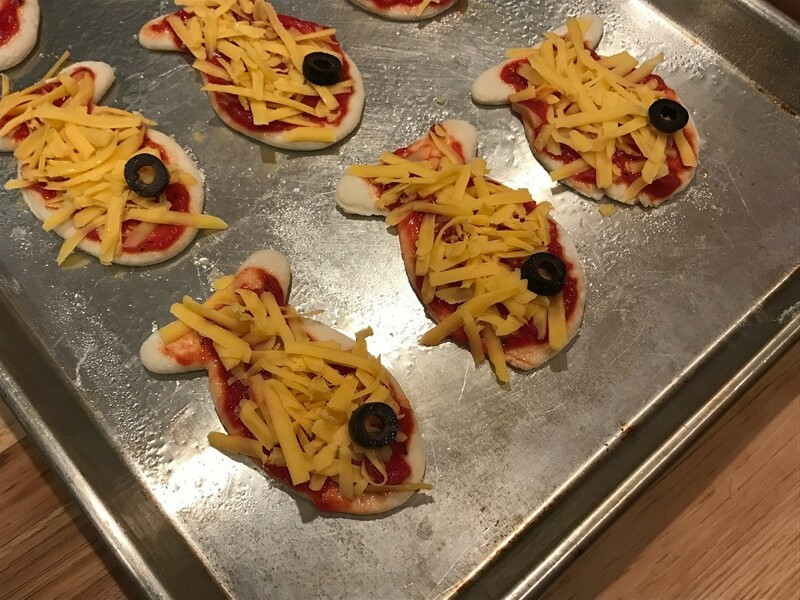 Spoon some pizza sauce onto the pizzas and spread it out. Add an olive slice for the eye. 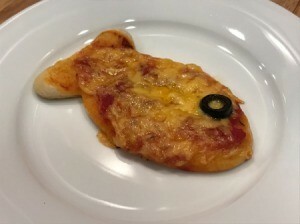 Bake for 14-18 minutes or until the bottom of the pizza is light brown. 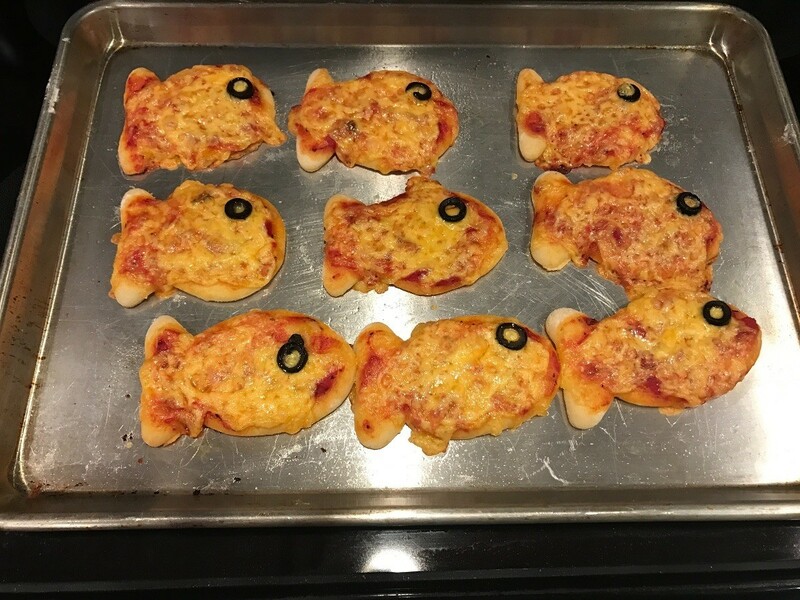 I recommend checking them frequently towards the end, so that they don't overcook. 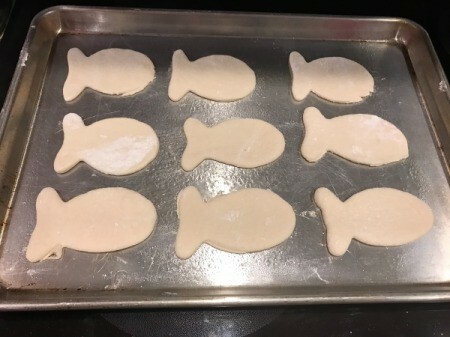 Allow to cool on the pan for a few minutes, then enjoy!